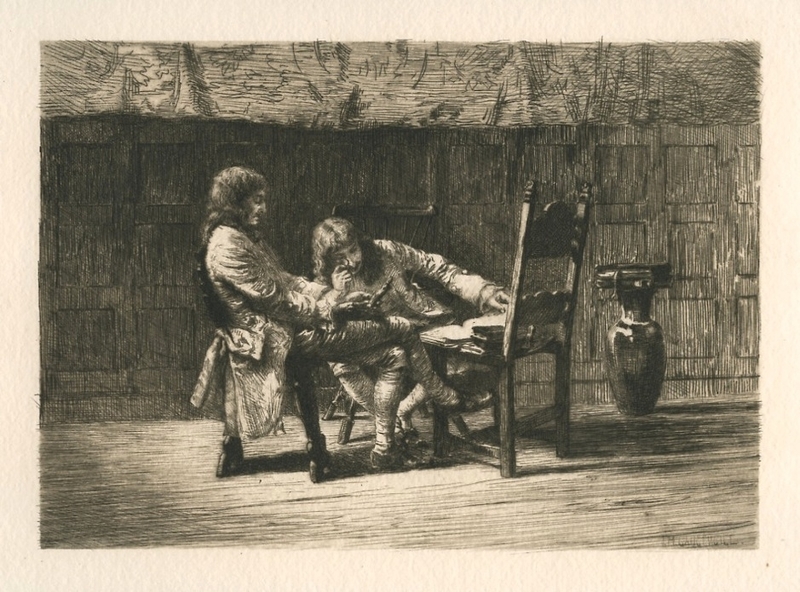 Ignatz Marcel Gaugengigl original etching "A Difficult Question"
Medium: original etching. Printed on cream wove paper and published in 1888 by Estes & Lauriat. Image size: 6 1/4 x 9 inches. Signed by Gaugengigl in the plate (not by hand).